‌‌ The Particle Physics Experiment (PPE) group, in conjunction with the School of Physics & Astronomy, operates an annual summer student scheme whereby undergraduates can work on a research topic in experimental particle physics. Students are typically funded for 6 weeks during a pre-arranged period over the summer (June-September). Please note that preference is given to 3rd and 4th year students. This opportunity is typically for University of Glasgow students, although students from elsewhere have also been supported. The list of projects available for Summer 2019 is now open to applications and the submission deadline is Friday 1st March. Note that the additional costs of travel and accommodation cannot be met by the Group/School. Eligibility: Please note that only students who are currently enrolled to study for a further year after the summer are eligible for funding (for example, students due to finish their third year, or students due to finish their fourth year but are already accepted to a 5-year MSci degree). Priority will be given to students who are very passionate about experimental particle physics and feel they would like to continue with a PhD in this topic. Requirement: Students who are accepted onto the Summer School programme must write a report at the end of their 6-week project, which provides an opportunity to further their communication skills. Application: Applications should be sent by email to Michael Alexander with title "PPE summer project application". in addition, information on any presentations, posters or reports that you have written for any research or academic projects, which will help us to judge your scientific communication skills. It always reflects very nicely on the student if the documents are written in Latex, and not in Word, as within the science community project reports are written in Latex. Process: Applications will be ranked by merit. Using the matrix of ranked students/ranked preferred projects per students, students will be suggested to supervisors, who will look at the student applications and may then set up an informal meeting to see if the student has the skills and interest needed for that particular project. For this reason students are encouraged to contact the supervisors direct during this application time in order to learn more about the projects, so that they are well informed when choosing an ordered list of preferred projects. Funding: The projects (formed by a pair of supervisor and student) will enter into competition for funding with other projects from other physics groups, the final decision resting with the Head of School. On average, 4-5 projects for the particle physics experimental (PPE) group are funded every year. This year we aim to fund 6 projects in PPE. Previous Schools: Please see the list on the left for details of previous years' summer student projects. This project is aimed at students with a very strong programming background and an interest in physics communication, data visualisation, and teaching of data science and computational physics. It is split in two parts: 1) Developing a web-based application for visualisation of particle collisions at the Large Hadron Collider, for use in public outreach; and 2) Redeveloping the School's Physics 3 IT laboratory exercises to use Jupyter and Python in place of Matlab, and to showcase more exciting and advanced features and physics. In both cases, we're more than happy to be wowed by your own ideas and skills, to enhance current plans! One of the major goals of the Large Hadron Collider is to search for evidence of new physics beyond the Standard Model (BSM), particularly models which could explain the origin or cosmological Dark Matter. These searches typically involve analysing many collision events, making requirements on each one's contents and properties, then looking for deviations from the expected background rates. More recently, efforts have begun to also make use of measurements not originally designed as BSM searches to investigate New Physics models... with surprising success. In this project we will reproduce leading-edge data analyses from the ATLAS and CMS experiments, either dedicated BSM searches or top-quark measurements, and use them to explore the validity of a BSM physics model. Prerequisites: Linux, good scientific programming experience in Python/C++, and basic statistics. Heavy quarks are one of the most important physics areas at the Large Hadron Collider, because of their connection to leading-edge physics like the Higgs boson (which mainly decays to bottom quarks) and direct searches for evidence of new physics beyond the Standard Model (BSM), which frequently involve top and bottom quarks. Quantum chromodynamics is the main source of b-quarks at the LHC, and is hence a crucial background process that limits our ability to study and interpret Higgs and BSM data involving b-quarks. In this project we will use ATLAS experiment data to study the production of b-quarks in secondary partonic interactions and/or the structure of the hadronic jets that stem from them. Project Type: Simulation and data analysis. Prerequisites: Linux and good scientific programming experience in Python/C++. Timepix3 is a state-of-the-art multi pixel detector of radiation. It found applications in many areas of science from monitoring of radiation background at the Large Hadron Collider to Computed Tomography (CT) of small animals for novel drug development. The system comprises of a silicon detector attached to a readout chip designed at CERN and fabricated at IBM facilities. The assembly is connected to a PC via dedicated readout USB interface and controlled by the Pixet software. You will take part in building setups for characterisation of CdTe / CZT and Si Timepix3 assemblies for imaging and spectroscopic applications using modern equipment and radioactive sources. Data will be collected using the Pixet program for the Timepix3 family of detectors. Analysis will be accomplished in the Python environment. On project completion you will gain better understanding of radiation detection techniques and complex equipment, enhance your programming and data analysis skills. You are expected to have some understanding of semiconductor detectors. Preference will be given to candidates with knowledge of Python and C++. On top of new physics!! The energy reached by the LHC and the extraordinary amount of data collected, allow the search for new heavy particles that could reveal their presence in the observation of any unforeseen signal (peak) or in a subtle deviation of the measurements from the expectations, depending on the probability of the creation of the new particle and its mass. The perfect area where to search for new heavy particles is the tt production, since it is likely that the new "resonances" will couple strongly with the heaviest particles existing in the standard model. The aim of this project is to search for new physics in an alternative way with respect to the standard approaches followed by ATLAS and CMS: we will re-interpret recent measurements of tt production performed by the ATLAS experiment using statistical techniques and the results will be used to set limits on BSM models. Prerequisites: Some knowledge of C++ and Python. Dates Available: June/July-early August (not after the 9th). The Standard Model of the elementary particle physics is an established theory which provides a fundamental description of all elementary particles and their interactions. A key ingredient of the Standard Model is the Higgs boson, whose existence was postulated in the early sixties and experimentally proved at the Large Hadron Collider in 2012. It can be produced via various processes and it can decay to several final stages. The dominant decay of the SM Higgs boson is into pairs of b-quarks, with an expected probability of 58%. However, the large hadron activity makes the search for the H -> bb decay very challenging. To be able to discriminate the signal from the backgrounds, the associated production process of the Higgs boson with the W or Z bosons (VH), is used to trigger on a cleaner signature in the detector, thereby reducing the backgrounds. In this project, we will study the Higgs boson decaying into pairs of b-quarks in the VH production mode with data from the ATLAS collaboration at the LHC, using a new detection technique. Prerequisites: Linux and good scientific programming experience in Python/CC++. The discovery of the Higgs boson can be argued to be one of the most important discoveries to have come out of the LHC, completing the particle content of the Standard Model and, for the first time, validating the explanation of how the W/Z bosons generate their mass and how additional fermions can also be massive without breaking the Standard Model. The Higgs boson can be produced in many different interactions, and one of the rarer (but also most interesting) is when the Higgs is produced alongside two top-quarks. In this project, we will attempt to use machine learning techniques (boosted decision trees, neural networks, ...) with a python interface to determine if we can make the search for this process even more powerful in discriminating between two different types of physics events: signal (events with a Higgs boson) and background (events without a Higgs boson which exhibit very similar characteristics). Prerequisites: Python programming, basic understanding of machine learning principles. Preferred Dates: after 10 June. The LHCb experiment at the Large Hadron Collider (LHC), CERN, is designed specifically to make high precision measurements of decays of hadrons containing charm and beauty quarks. These are compared to the theoretical predications of the Standard Model (SM) in order to look for discrepancies which may indicate new physics effects. Measurement of the lifetimes of charmed hadrons are challenging, both theoretically and experimentally, but with sufficient precision may reveal new physics. Should a discrepancy between theory and experiment be found this could indicate interference from non-SM particles, which can enhance or suppress the decay of charmed hadrons. 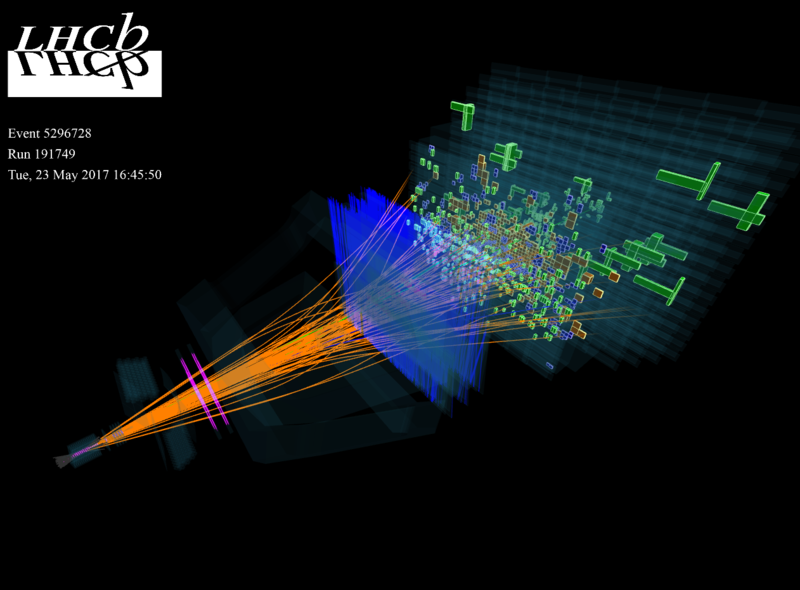 LHCb has recorded the largest datasets of decays of charmed hadrons in the world. Combined with its high precision tracking system this makes it an ideal place to perform such tests of the SM. Using both real and simulated data from LHCb you will work towards a measurement of the decay time dependent matter-anti-matter asymmetry of neutral charmed mesons. This will require extensive use of the ROOT data analysis software package in order to parametrise signal background, account for detector resolution and efficiency effects, and extract the lifetime of the signal decays. Prerequisites: Some programming experience, particularly with Linux shell scripting, C++ and Python. Prior experience with ROOT would be beneficial, but not essential. Silicon sensors are essential in a range of fields, from cutting-edge research (e.g. particle physics, chemistry, materials science) to industry (agriculture, manufacturing) and everyday devices (cameras, security). They are the eyes of our electronic world. As we develop more precise sensors, for example cameras with smaller pixels, the potential reach of these devices increases, allowing more processes to be investigated, and with more detail. Currently the resolution of such sensors is at the micrometre (μm) level. However, the time precision is relatively much worse, due to significant technological challenges in assigning times to the signals in the silicon. The best precision for small-pixel silicon sensors is at the nanosecond (ns) level. By comparison, light travels 300,000 μm per ns. Our ability to observe many processes is significantly hampered by limitations in time precision. For fast (~1ns duration) processes, adding picosecond-level (1ps = 0.001ns) timing to micrometre-level spatial measurements effectively corresponds to the difference between still images and video, and hence has the potential to open up entire new fields of research. Such processes occur, for example, in particle and nuclear physics, chemistry and materials science. The ultimate aim of this project is to develop sensors that for the first time simultaneously reach precision at the micrometre-level in space, and picosecond-level in time => a high-speed video camera for the smallest observable scales. We start from a new type of sensor only developed in the past decade: Low Gain Avalanche Detectors (LGAD). By adding specially-treated semiconductor layers to the silicon, the time of signal collection is significantly reduced, making it possible to reach ~30ps precision. However, the only devices so far developed have large (mm-size) pads rather than pixels. The development of these LGAD sensors has been done here at the University of Glasgow producing small pads and pixel arrays. 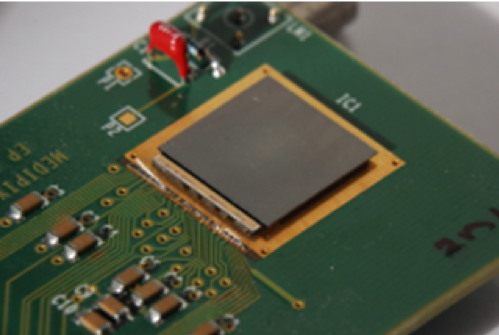 Recently we have had 256x256 pixels areas of LGAD detectors bump bonded to TimePix chips. The student will be involved in the characterization of these PixeLGADs. 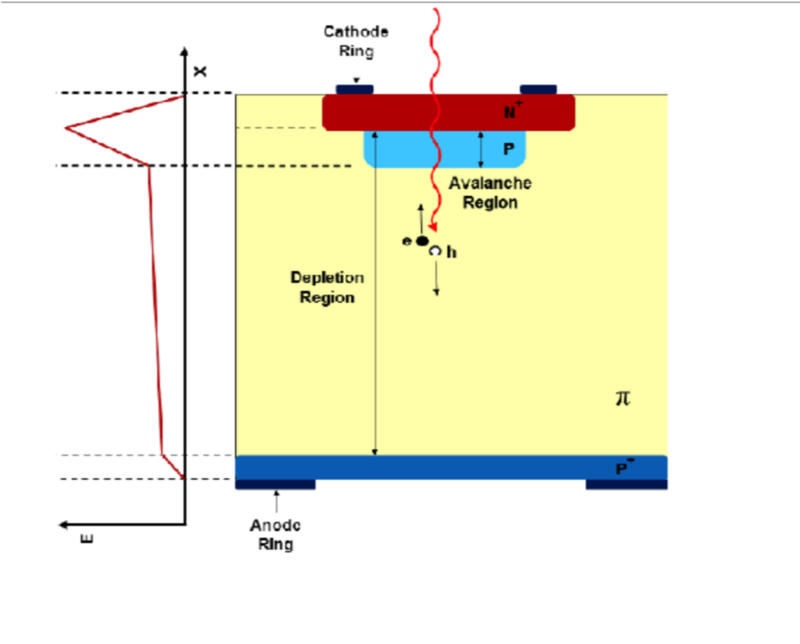 This will be done by using the Transient Current Technique (TCT) as well as a dedicated timing set-up. It is also possible to use these detectors for applications low energy synchrotron science. Therefore it will be useful to test these detectors using X-rays in our lab. 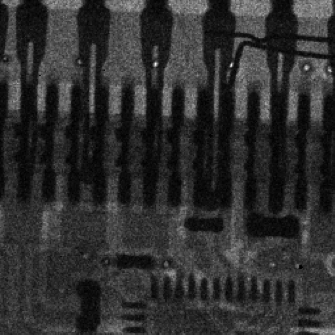 Having a better understanding of the timing performance, charge collection efficiency and X-ray detection capabilities will greatly help in the pursuit of ultra-fast-silicon detectors with high granularity. Prerequisites: Some familiarity with Linux and CC++; some experience of Python preferred but not essential.